House of Pharaohs Boutique Hotel and Conference Centre in Bryanston offers luxury accommodation, fully equipped conference and training facilities to cater for all your event and conferencing needs. A unique venue of tranquillity, surrounded by beautiful gardens to motivate, energise and inspire all. Ideally located near major business areas and event venues places you in a ideal location to reach Sandton, Randburg, Fourways and Rivonia. If you looking for a place to host your next conference, workshop, gala dinner, product launch, or book reading? 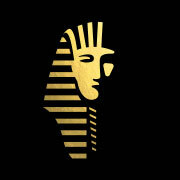 Then House of Pharaohs is the venue for you!